Our fleet of quality vessels range in size to accommodate the budget minded as well as the most extravagant of tastes. We offer unparalleled service at competitive prices. 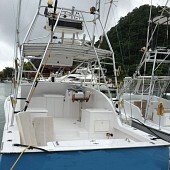 We work with a select "Partner Fleet" so you won't find twenty or more boats on our site, just boats, captains and crews that have been hand selected for knowledge of the local area, skill of the crew, expertise in a specific area of fishing and last but not least service to the customer. 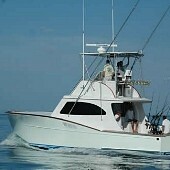 The Go Fish is owned and operated by Pelagic Pursuits CR so when you contact us you're always working with the owners. Go Fish offers guests plenty of shaded seating, a cabin complete with a stand-up private head, bunks for resting and a sound system. 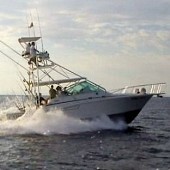 Our Luhrs 31' Express features twin 315 HP diesel engines for a quick run to the fishing grounds. 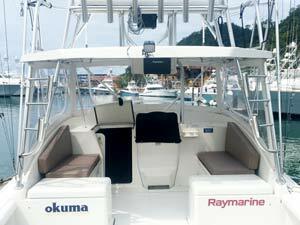 Outfitted with premium rods and reels from OKUMA and RAYMARINE electronics for navigation and fish finding. We offer anglers stand up style fishing with or without the use of the very best AFTCO Fighting Harnesses. 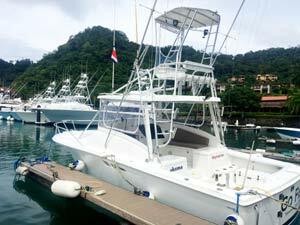 We have outfitted the Go Fish with all the necessary safety gear, life jackets and first aid equipment. The boat also has a Live-bait well, and tuna tubes. In addition to our own boats and for larger groups, we are partners with some of the best boats and top Captains in Los Sueños. 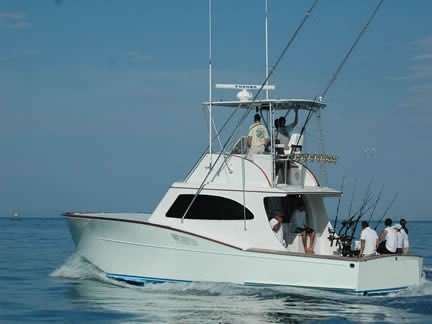 All boats are equipped with top of the line fishing tackle and experienced crews who are dedicated to providing you with great service and a great fishing experience. 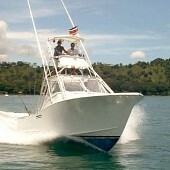 Maverick 42' - Outfitted with Shimano rods and reels for light tackle inshore fishing to the biggest marlin or tuna. 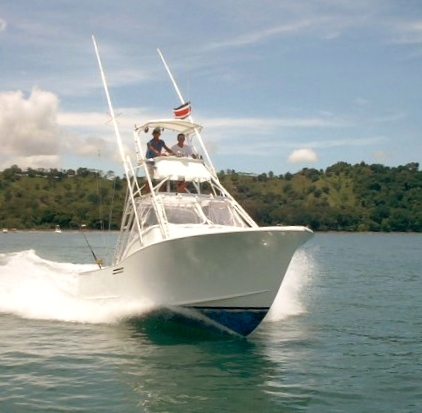 The cabinets and tackle drawers are filled with a wide variety of lures and fishing gear to take advantage of any fishing opportunities that the waters of Costa Rica may provide. The boat cruises at 25 knots and has two air conditioners which cool the very comfortable salon, galley and cabin. Drinks and several courses of snacks are provided throughout the morning. Lunch, hand made sandwiches or hot burritos and fresh fruit, is also served during full day charters. 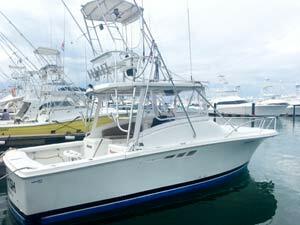 Cabo 35' - 35 foot Cabo Express, Air Conditioned, Twin 3208 435hp cat's, cruising speed 26kts. full bathroom with shower, galley, stateroom, and salon. Bait freezers, fish boxes fighting chair, and much more. 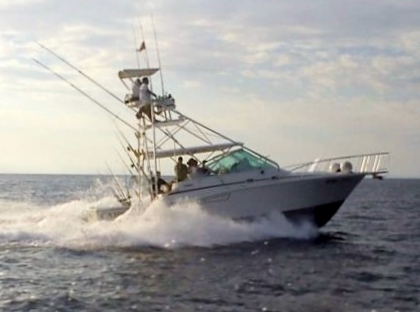 32' Irvin Forbes Express - 350 H/P CAT Cruising Speed: 20 kts Equipment: 2 GPS, Color Sounder, 24 Mile Radar, 2 VHF Radios, Safety Equipment, Tuna Tubes, Live Bait Well. 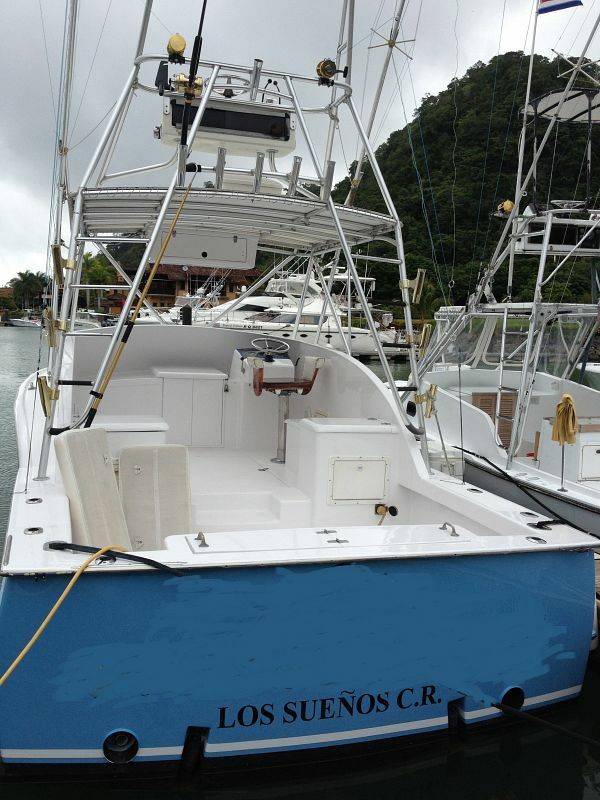 31' Palm Beach Sport-fisher - Inboard 350HP Cat Diesel, 22 knots cruising speed GPS Color Video Sounder, VHF Radios, Forward Cabin & head, Shaded cabin area, Lee Outriggers, Canyon Down Riggers, Large open deck.